When looking for a life partner, I’m sure you will agree with me that you not only look for one who will love you? But also one who will give you all the support that you need! In addition, it is normal when thinking about a lifetime partner, someone who you feel will gel with your outlook on life. If you can get the Virgo man to trust you he will be ideal in this regard. Virgo men are known to be very practical, honest, and easy going. Once they have got to know you, and you have shown similar traits they generally make excellent marriage material. Their logical approach makes them an easy sign to get along with. However, not all signs have an easy time with Virgo men because all of them do not share their life values, qualities, and standards. To completely understand everything you need to know about the characteristics and traits of a Virgo man see my review here. The star signs that seem to get along well with the Virgo man are Taurus, Capricorn, and Cancer. These signs match well with the Virgo man because they tend to offer him something that other female signs are unable to offer. The star sign of a person has a direct bearing on their characteristics. Every star sign can get along with another if they understand how the characteristics make them react in a situation. However, some signs are more compatible and others have to work a little harder by making allowances. In this article, I am going to delve deeper into marriage compatibility between Virgo man and the Taurus woman, Capricorn woman and the Cancer woman. 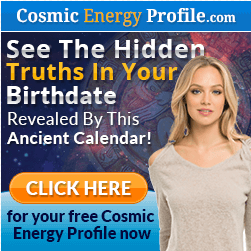 However, if you are not one of these signs you can click on the link below to discover more in your situation. The Virgo man and the Cancer woman have the ability to create a loving and lasting marriage. They may have many differences, but they are an incredible match. The Virgo man who is very practical tends to complement Cancer woman’s need for security, as well as her depth of emotions. In addition, the Virgo man tends to feel secure with the Cancer woman who is very devoted, loving, warm and loyal. On the other hand, the Cancer woman who is a water sign brings balance to the marriage. This is done by helping the Virgo man who is an earth sign to be more sensitive. A marriage between a Virgo man and a Cancer woman is probably the best match of all the star signs. The Virgo man tends to bring in the stability that the Cancer woman so much desires. He is very practical, trustworthy and reliable, while the Cancer woman provides love and care to the Virgo man. What’s more, this match is not only loving, dedicated and caring, but also has a desire to serve other people. This is a plus for their marriage and relationship in general. This love, loyalty, dedication, and care is also seen in their relationship with each other. A marriage between a Cancer woman and a Virgo man is one that is full of compassion and consideration for each other. The two are also very down to earth and this is a trait that makes them a compatible match. A marriage between a Virgo man and a Taurus woman makes a great combination. They happen to have a similar approach to life and they also share core values. Just like the Virgo man, the Taurus woman is also very practical and easy going. This makes the combination a very good match. The Virgo man and the Taurus woman are also both very sincere and honest. These are two qualities that would make it possible for them to have a serious, long-term marriage. Integrity is also another quality that they both share. Their marriage or relationship is likely to last because they hold a lot of integrity for one another. The two also tend to put a lot of emphasis on material well-being, and they really work hard so as to get it. Another quality that makes them a good match for marriage is the fact that they are both introverts. When together they would prefer to stay in the house and watch a good film as opposed to being in social circles. These two signs can form a marriage union that is very harmonious and comfortable with long-lasting appeal. 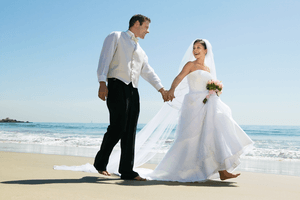 Virgo man and Capricorn woman are a very good match for marriage. Both of them are earth signs who have several similarities. The two signs are known to be very romantic. This tends to make a relationship with each other very passionate and intense. In addition, the mutual understanding, acceptance, and love between both of them is something to behold. This gives their marriage union the perfect chance of success. The Virgo man and Capricorn woman are also very diligent and hardworking. They tend to value a life that is kind of conservative and intellectual. When it comes to the kind of people they prefer to hang out with. Both prefer to have quality friends and rarely care less about the number of friends that they have. What’s more the two are great planners. They would do very well in terms of making plans, as well as setting goals and targets. A marriage between them would be very tight, harmonious and comfortable. They would be able to achieve whatever they want as a couple. A strong ability to plan together as a couple will make the relationship grow even closer. A marriage between a Virgo man and a Cancer woman is highly compatible because they are both very reliable and responsible. If you are in such a match, you are in it with a potential husband who happens to be very dutiful. You will make a wife who is very caring and nurturing because of the interaction with your man. On the other hand, if yours is a marriage between a Virgo man and a Capricorn woman chances are that you are likely to have a long-lasting relationship. However, since both of you can be very stubborn, one of you must learn how to sidestep. Last, but not least, a marriage between a Virgo man and Taurus woman is a match made in heaven, which is highly compatible. If you are in such a match, you are likely to have a long-lasting and harmonious relationship. There can be compatibility between all-star signs but the important thing is understanding the Virgo characteristics. 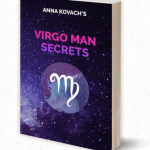 If you haven’t already had a look through my review of Virgo Man Secrets by astrology and relationship expert Anna Kovach for some surprising insights. I hope you found this post of help. There are many more articles relating to situations with a Virgo man on my website https://virgomen.net. I hope you find love with your special man.